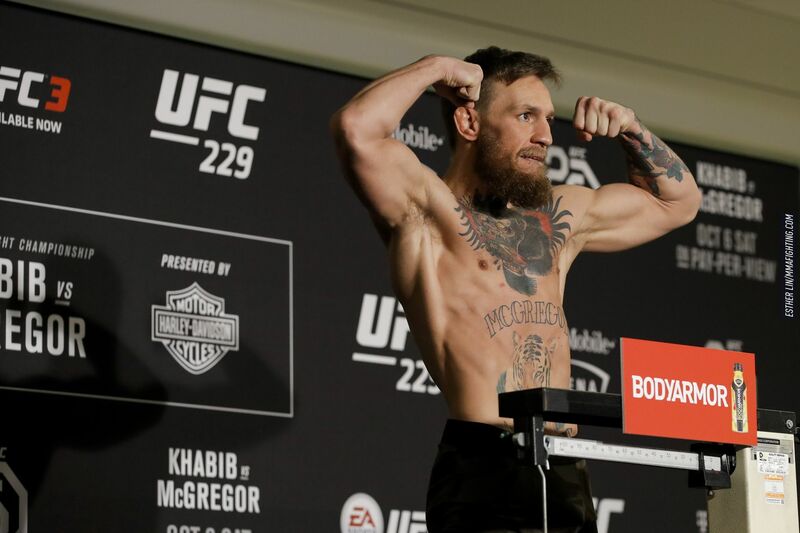 The UFC 229 official weigh-in photos are from Friday’s UFC event in Las Vegas. 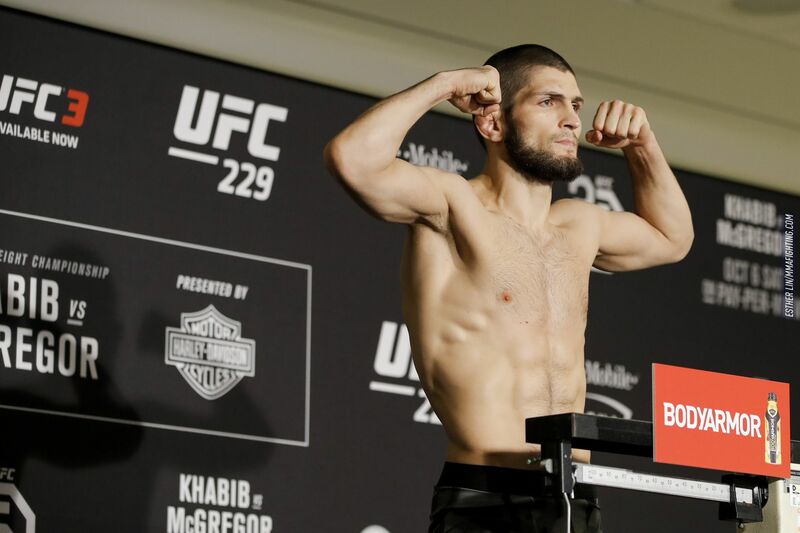 Khabib Nurmagomedov makes weight at UFC 229 official weigh-ins. 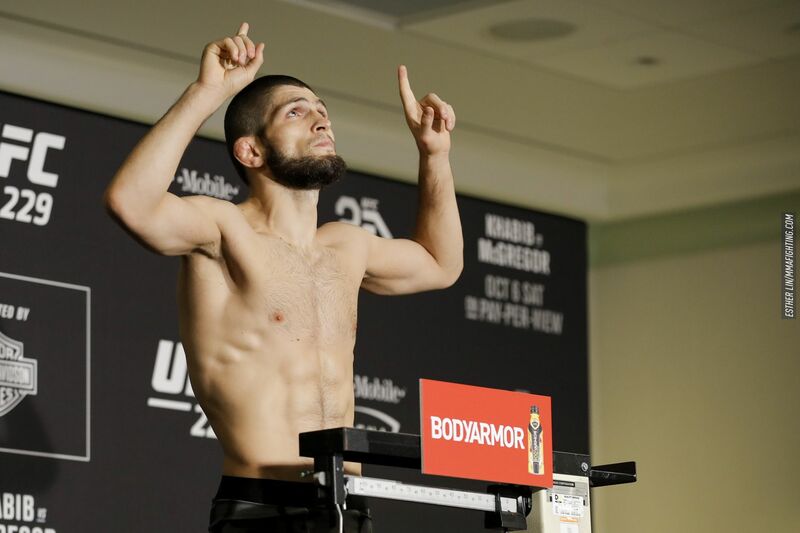 Khabib Nurmagomedov celebrates making weight at UFC 229 official weigh-ins. 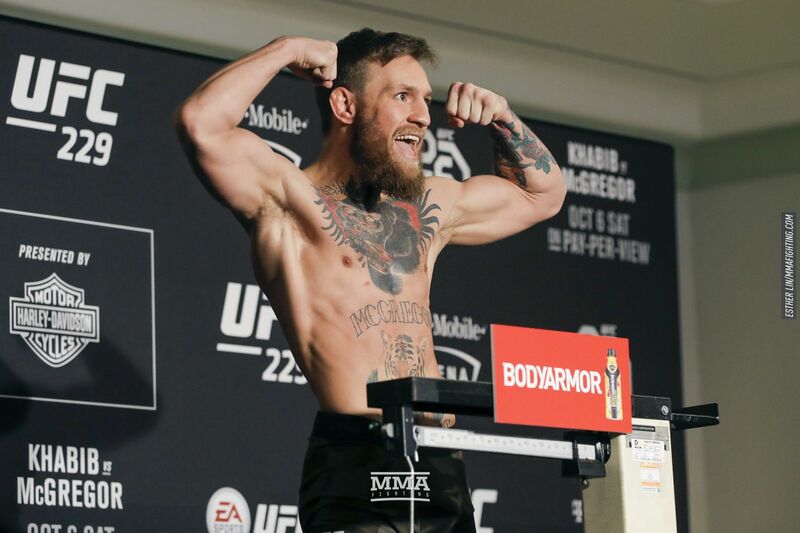 Felice Herrig poses after making weight at UFC 229 weigh-ins. 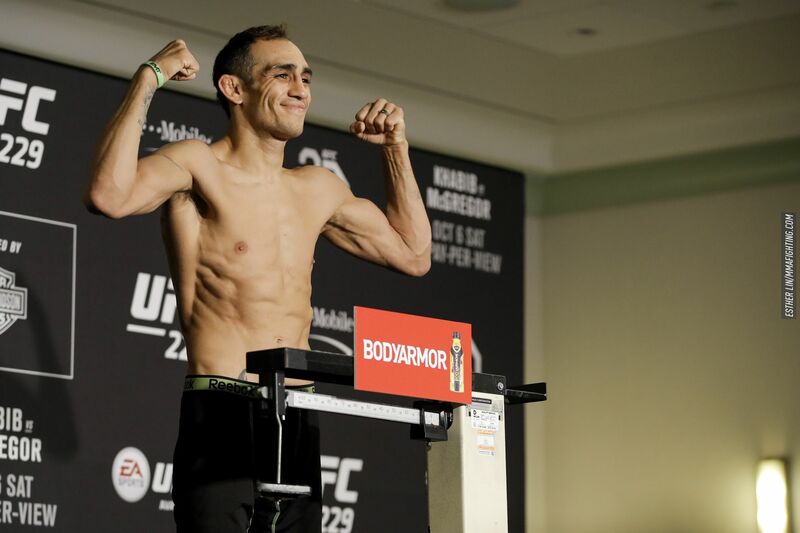 Tony Ferguson poses after making weight at UFC 229 weigh-ins. 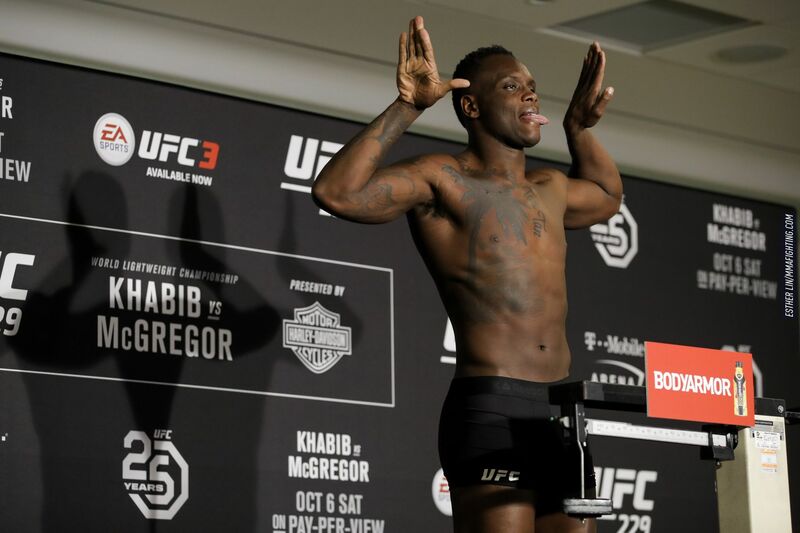 OSP poses after making weight at UFC 229 weigh-ins. 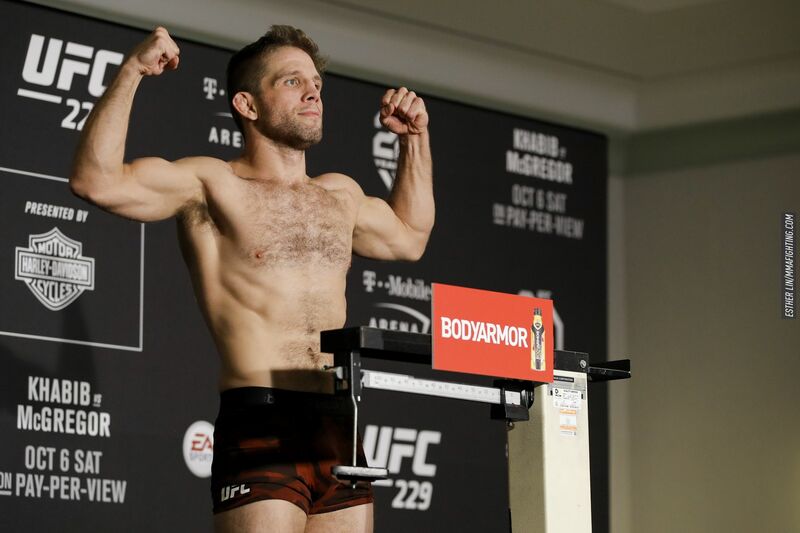 Nik Lentz poses after making weight at UFC 229 weigh-ins. 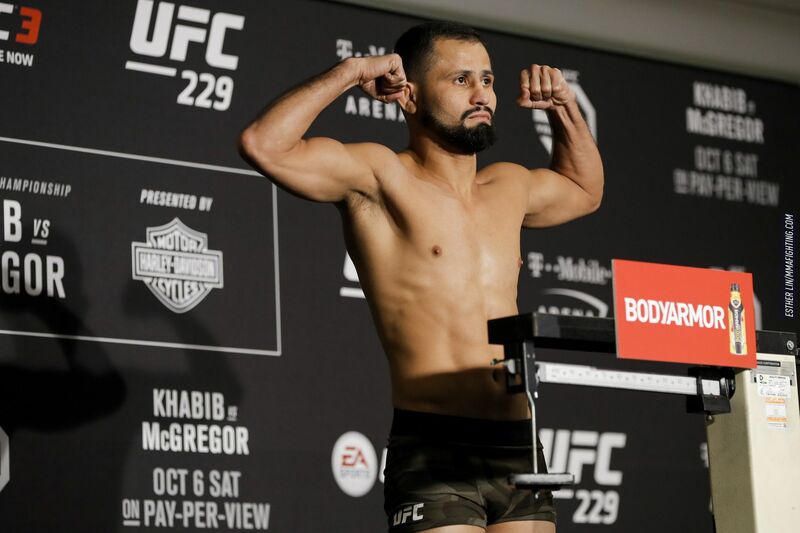 Jussier Formiga poses after making weight at UFC 229 weigh-ins. 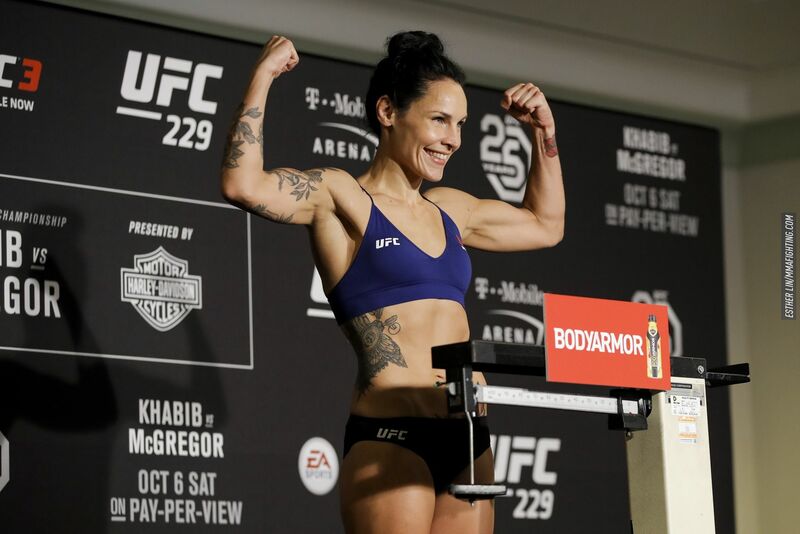 Lina Lansberg poses after making weight at UFC 229 weigh-ins. 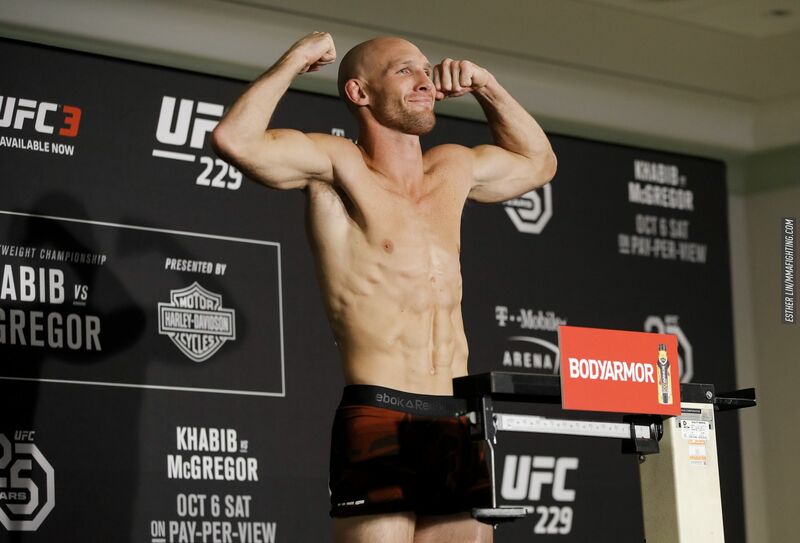 Ryan LaFlare poses after making weight at UFC 229 weigh-ins. 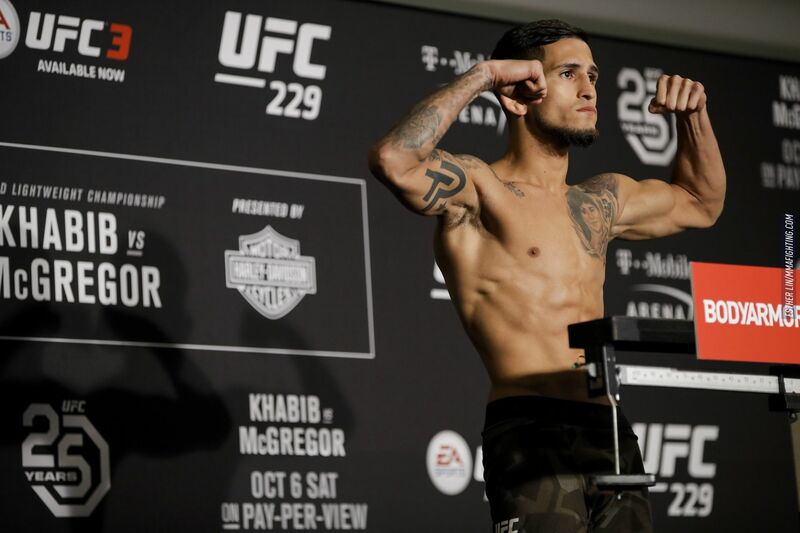 Sergio Pettis poses after making weight at UFC 229 weigh-ins. Michelle Waterson poses after making weight at UFC 229 weigh-ins. Yana Kunitskaya poses after making weight at UFC 229 weigh-ins. 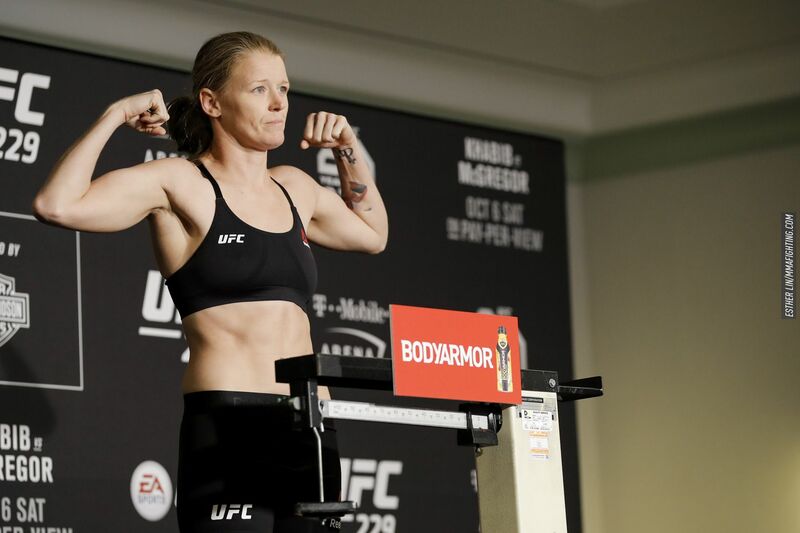 Tonya Evinger poses after making weight at UFC 229 weigh-ins. 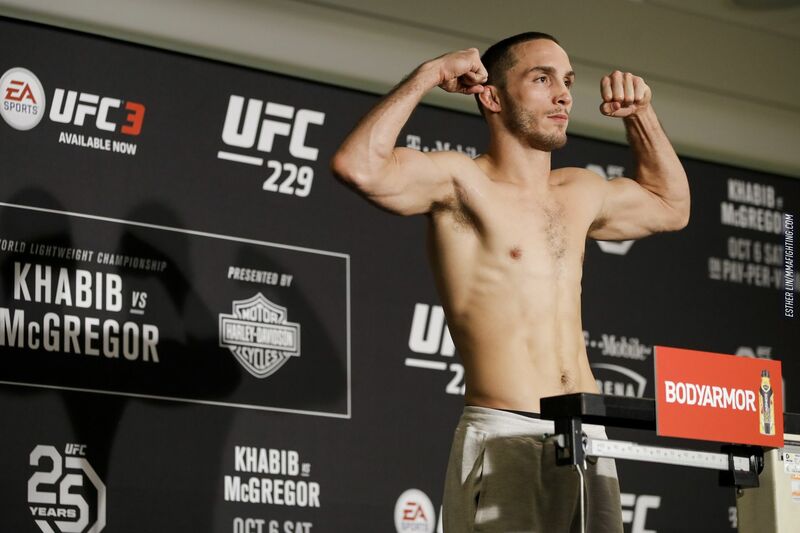 Tony Martin poses after making weight at UFC 229 weigh-ins. 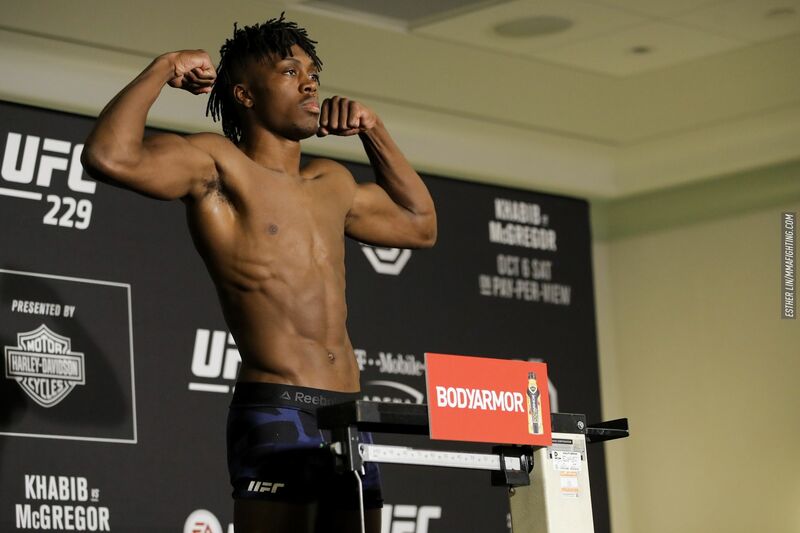 Jalin Turner poses after making weight at UFC 229 weigh-ins. 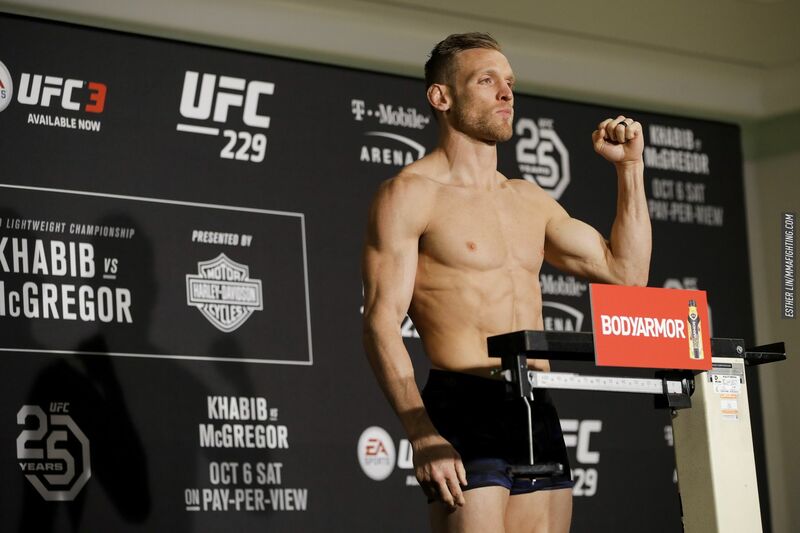 Scott Holtzman poses after making weight at UFC 229 weigh-ins. 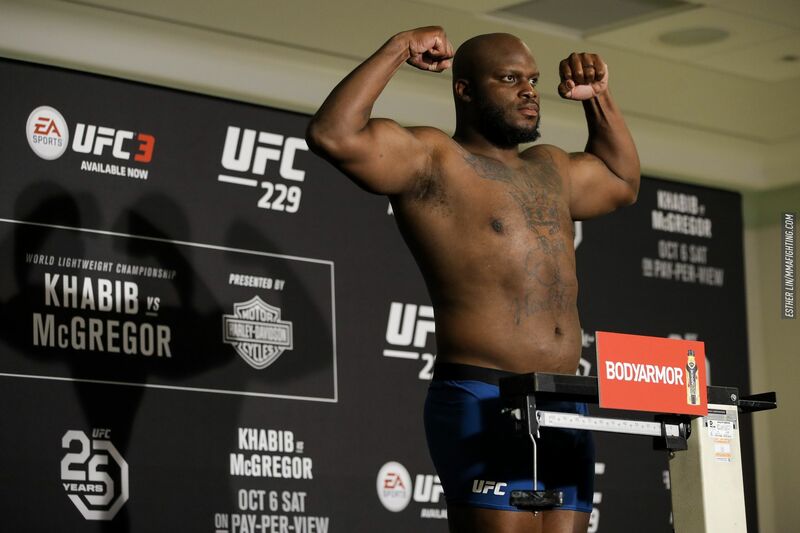 Derrick Lewis poses after making weight at UFC 229 weigh-ins. 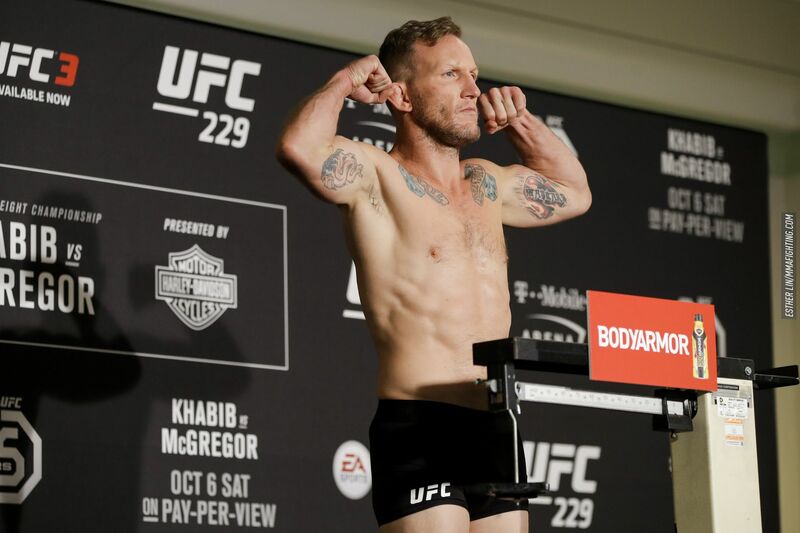 Gray Maynard poses after making weight at UFC 229 weigh-ins. 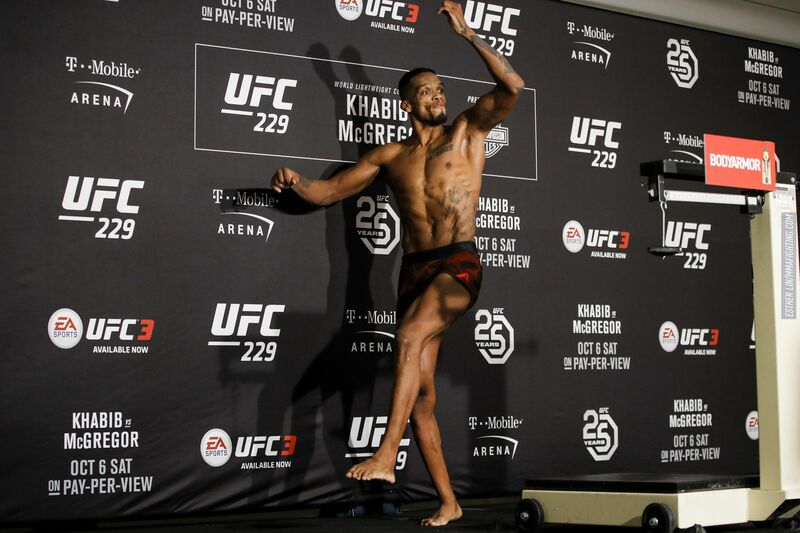 Alan Patrick poses after making weight at UFC 229 weigh-ins. 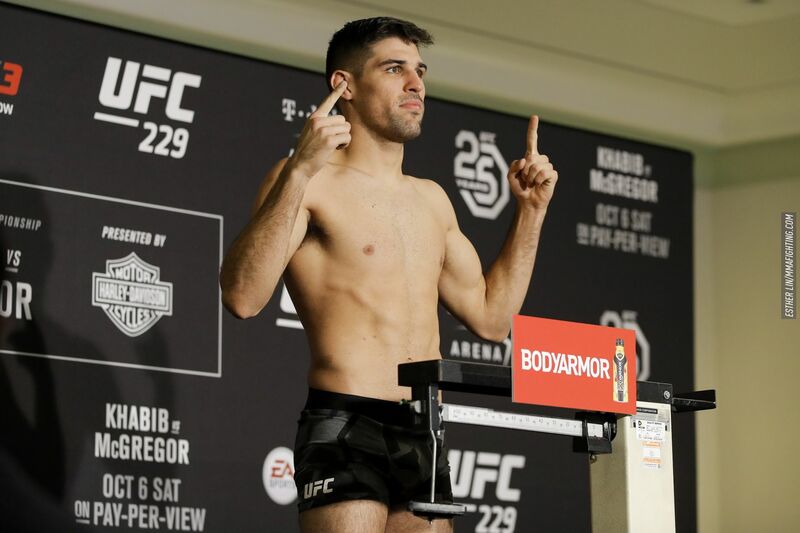 Vicente Luque poses after making weight at UFC 229 weigh-ins. 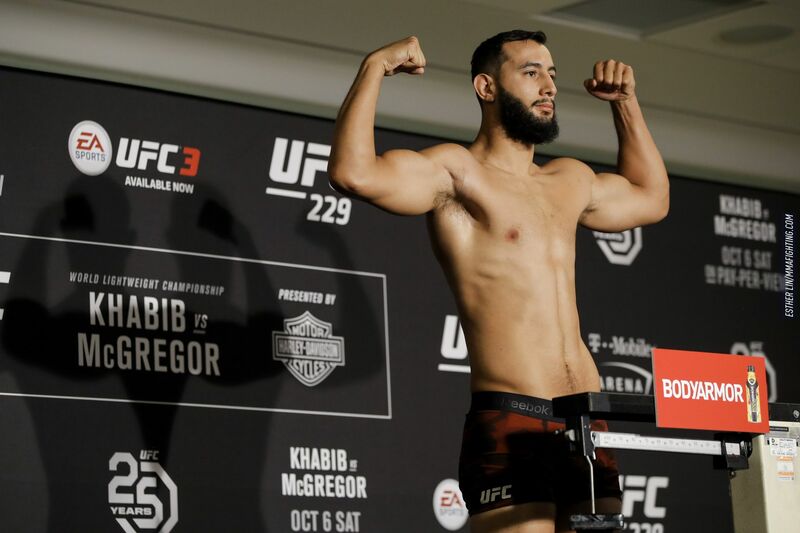 Dominick Reyes poses after making weight at UFC 229 weigh-ins. 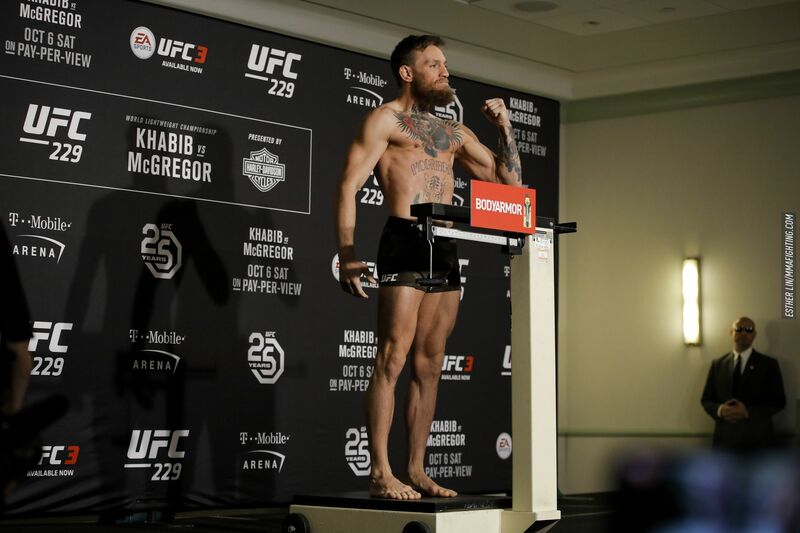 Conor McGregor poses after making weight at UFC 229 weigh-ins. 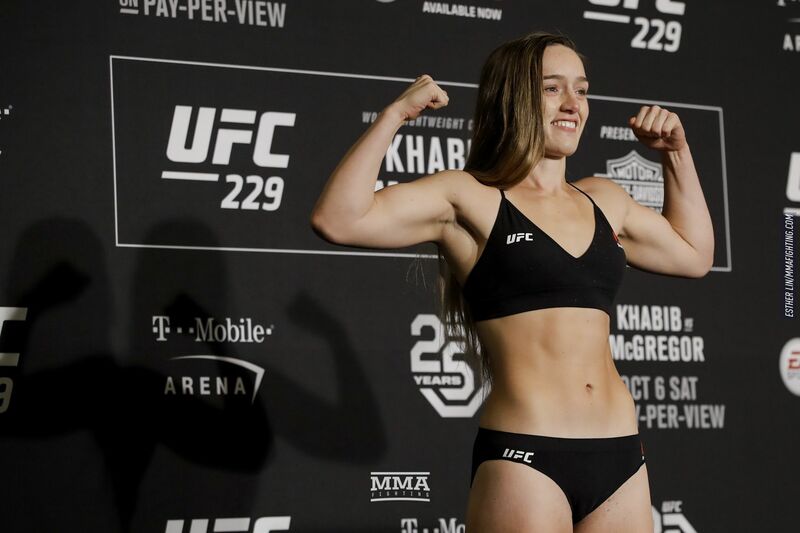 Aspen Ladd poses after making weight at UFC 229 weigh-ins. 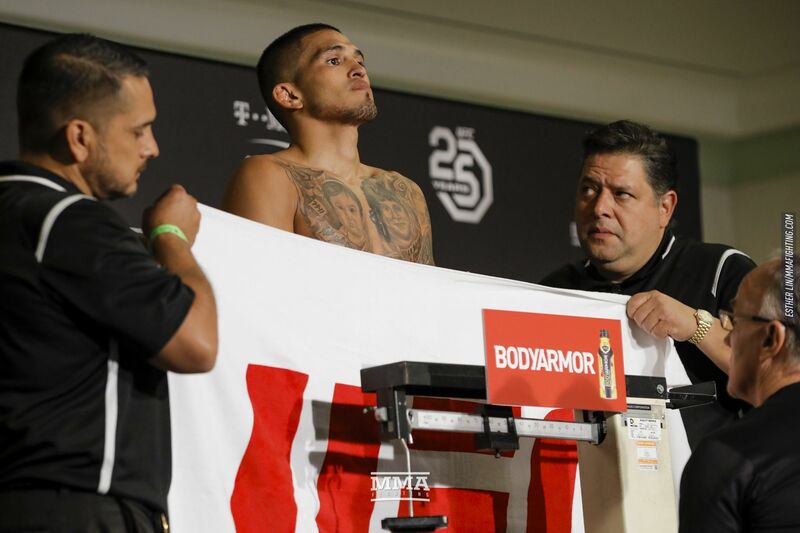 Anthony Pettis steps on the scale at UFC 229 weigh-ins. 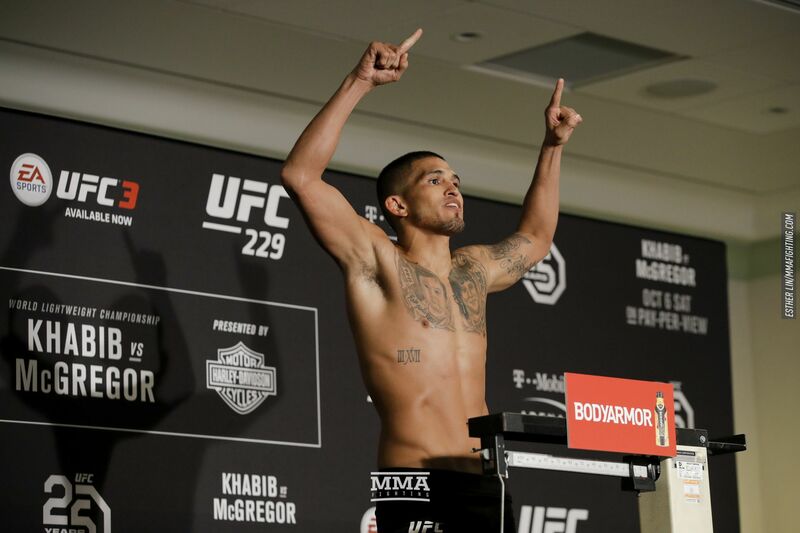 Anthony Pettis poses after making weight at UFC 229 weigh-ins.